Neck swelling is a common condition that brings pediatric patient to the clinician office. However, congenital malformations of the neck, leading to surgical treatment, are rarely diagnosed in the neonatal age. 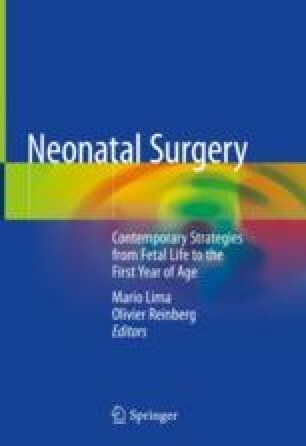 The present chapter lists the most common surgical condition treated by pediatric surgeons and some of their peculiar aspects when encountered early in life. Thyroglossal cyst and branchial remnants are the main topic of this chapter.